Sponsored Story: The Gerald J. and Dorothy R. Friedman School of Nutrition Science and Policy at Tufts University is currently accepting applications to the Sustainable Agriculture and Food Systems online graduate certificate program. The online program is ideal for professionals engaged in a variety of food-related businesses and organizations, as well as others who would like to learn more about implementing sustainable practices for their organizations, partners, and communities. 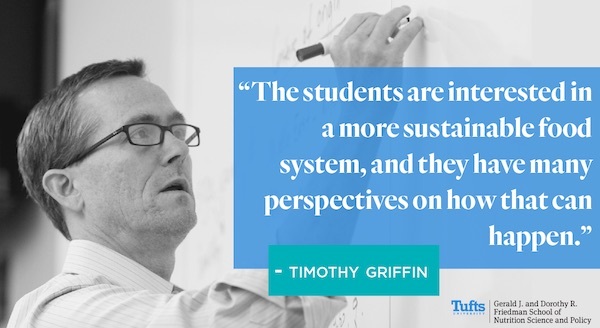 This fall join Associate Professor Tim Griffin and a small class of 24 other students in an engaging, flexible, and challenging academic journey. The program is now accepting applications now for Fall 2017.